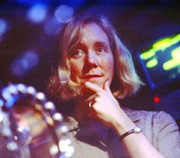 Dr. Ellen Williams, a professor of physics at UMD and currently on leave as Chief Scientist of BP, has been nominated by President Obama to be the next Director of the Advanced Research Projects Agency-Energy (ARPA-E). According to the White House press release, dated November 6, 2013, "Dr. Ellen D. Williams is the Chief Scientist for BP, a position she has held since 2010. She is currently on a leave of absence from the University of Maryland where she has served as a Distinguished University Professor in the Department of Physics and the Institute for Physical Science and Technology since 2000. Dr. Williams has served as a Professor in the Department of Physics at the University of Maryland since 1991. She founded the University of Maryland Materials Research Science and Engineering Center and served as its Director from 1996 through 2009. Dr. Williams received a B.S. in Chemistry from Michigan State University and a Ph.D. in Chemistry from the California Institute of Technology." ARPA-E launched in 2009, with bipartisan support, to advance high-potential, high-impact energy technologies. According to the news article from the Department of Physics, Dr. Williams will still be a member of the Department and the Institute for Physical Science and Technology, on leave from the University.